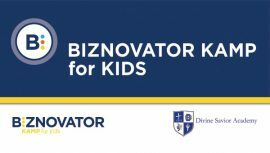 The BIZNOVATOR DISCOVER WORKSHOP is a 2.5 Day program in a group setting that is specifically designed to help your child DISCOVER their purpose, understand their intrinsic motivations and begin to think differently about the impacts they can have in their local communities. Our DISCOVER WORKSHOP begins with an assessment of your child’s intrinsic motivations and current mindsets with a rapid 15 minute survey. We then work with your child in a group setting utilizing experiential learning techniques. Our methodology involves discussions about character building, values, ethics and morals. We teach your child the right way to greet an adult and raise their level of social awareness and confidence in social settings. These are all important skills sets that will differentiate your child and give them a firm foundation for future growth. 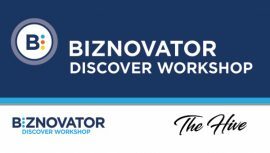 The BIZNOVATOR DISCOVER WORKSHOP then touches on the 7 Mindsets methodology. Following our overview of the 7 Mindsets, the group will work on their individual DISCOVER PLANS with the assistance of our BIZNOVATOR Coaches. Towards the conclusion of our WORKSHOP the parents will be asked to attend and engage with the group as their children proudly exhibit what they have learned. At BIZNOVATOR we have learned that it is important for parents to celebrate the beginning and the end of their experience. 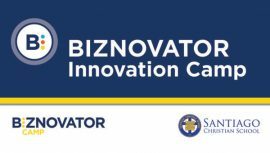 We host the BIZNOVATOR DISCOVER Awards Ceremony where you can share in the tremendous growth of your child. 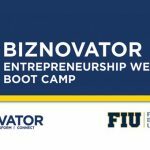 The BIZNOVATOR DISCOVER WORKSHOP is a tremendous experience and the first step on your child’s journey towards discovering and living their passion and purpose.